Science and Football VII is an essential resource for all sport scientists, trainers, coaches, physical therapists, physicians, psychologists, educational officers and professionals working across the football codes. 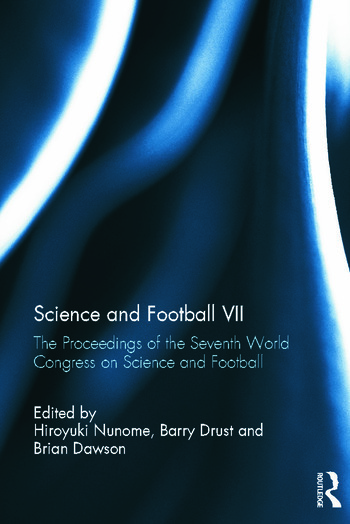 The papers contained within this volume were first presented at the Seventh World Congress on Science and Football, held in May 2011 in Nagoya, Japan. The meeting was held under the auspices of the International Steering Group on Science and Football, a representative member of the World Commission of Science and Sports. Hiroyuki (Hiro) Nunome is Associate Professor in Biomechanics at Nagoya University, Japan. He is part of the International Steering Group on Science and Football and is the Vice President of the Japanese Society of Science and Football. He is well-known as a pioneer of biomechanics in soccer, particularly of kicking, with many advanced publications in the field. Barry Drust is Reader in Applied Exercise Physiology at Liverpool John Moores University, UK. His main research interests are focused on the physiology of intermittent exercise. As well as his academic roles he has also provided sport science support to elite Premier League football teams and national associations. Brian Dawson is Professor of Sport/Exercise Physiology in the School of Sport Science, Exercise and Health at the University of Western Australia. He is also Chair of the International Steering Group on Science and Football. He has published around 200 papers, many concerning physiology in football codes and other team sports.